As soon as you've evaluated the water damage, call the adjuster and let them know the size and extent of the damage – square feet, rooms affected, etc. Explain what equipment you plan to use and why – include what result it will produce. Many insurance professionals haven't been introduced to the new equipment in our industry. If you plan to use newer equipment, let the adjuster know what it is and how it will benefit the job. If you provide monitoring reports to verify drying progress—explain the information in the report prior to giving them the bill. Keep in mind that claims insurance adjusters handle many claims at once. 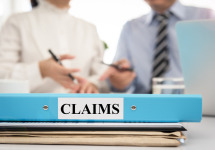 Any helpful information you can provide with your claim will help make their job easier. As a restorer, you can truly improve your communication with adjusters by proactively communicating helpful information to increase trust and understanding of your drying decisions.